The UK gaming market is now worth a record £5.7bn - in part thanks to titles like PlayerUnknown's Battlegrounds and Fortnite. 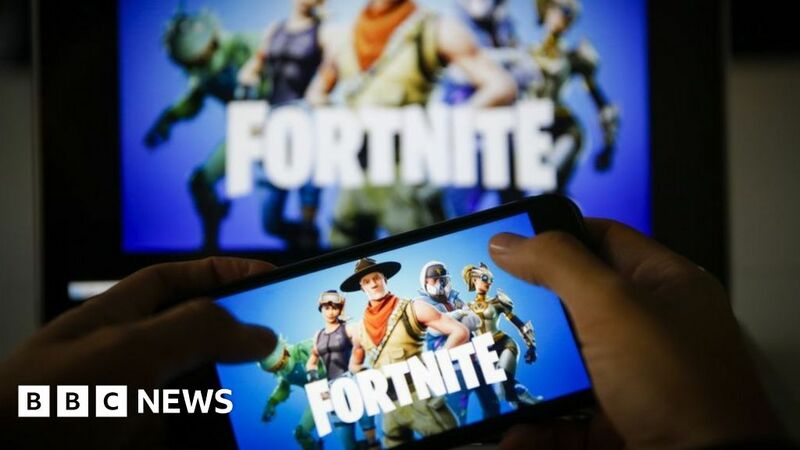 The two online-only games, released in 2018, helped push revenues for gaming software to a record £2bn - according to Ukie, the trade body for UK gaming which compiles the figures. But virtual reality has had a tougher time - with sales down 20% since 2017. It's due to early adopters of virtual reality awaiting the next generation of VR headsets, says Ukie (short for the Association of Interactive Entertainment). A bad year for VR didn't affect the gaming hardware market too much though - it still saw growth of more than 10%. The success of gaming isn't that surprising, given gaming is now worth more than movies and music combined. A report in January said gaming was worth £3.86bn ($4.85bn) - but those figures didn't include mobile and free games. Movies like Tomb Raider and Rampage, that were both released in 2018, lifted revenues for game-related films to more than £23m - up by 34%. Money made from areas including toys, merchandise and books - a wider category which Ukie calls "game culture" - was down. The closure of Toys-R-Us is said to have had a "significant" impact on sales. But the big picture is "another year of record growth" for the gaming industry, according to Ukie CEO Dr Jo Twist. "The UK games industry is a cornerstone of the country's cultural landscape and continues to work hard to create new, innovative and exciting content that consumers want to experience, and that helps to drive the industry forward year-on-year," she said. What's gone wrong with VR? VR was thought of by many as the next big thing in gaming - and some still think it is. There are a few really fun experiences to have with VR games (Tetris Effect and Start Trek Bridge Crew for example) but a lack of truly "must-have" games is holding the medium back. Mario, Tomb Raider and Halo made players buy certain consoles - VR is still waiting for the experience that's going to drive people to buy a headset. The next iteration of the devices will make them cheaper and more accessible - but without the right software, the VR gaming revolution is still on the starting blocks.